Cómo puedo ayudar a alguien salir de la cárcel en el Condado de Bexar? Cómo puedo pagar por una Fianza? 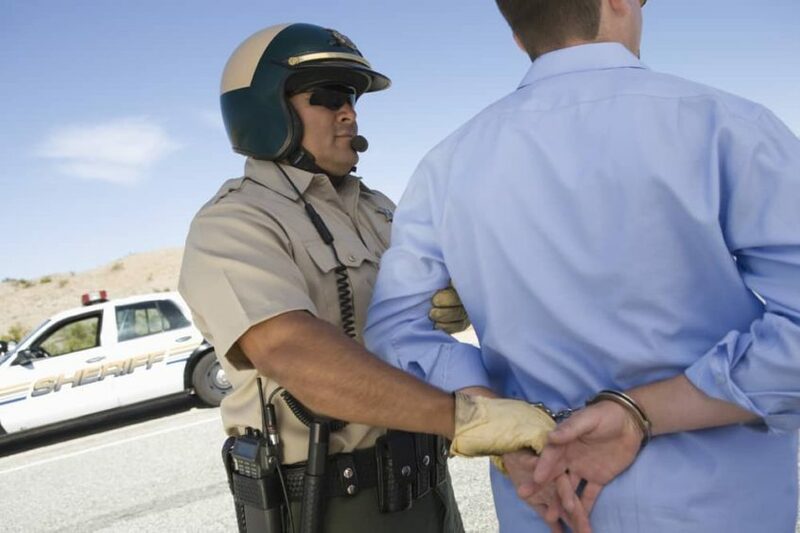 If you have a warrant out for your arrest in San Antonio or its surrounding counties, you must take care of it as soon as possible. Warrants can turn into serious financial and legal burdens if you do not address them, so we at McRae Bail Bonds will walk you through the process every step of the way. The first step is the most important: turn yourself into the jail. However daunting this may seem, you will have to be booked into jail and then secure a bail bond in order to get out. Most times the release will take place the next day. Review the following considerations provided from McRae Bail Bonds. Q: How soon do I report to McRae Bail Bonds after release? A: Right now. Typically, our bail bond clients report immediately after release. At the very least, we expect them to report to our agents within 24 hours. Q: What’s required of me until the bond is paid off? A: We require information about our clients’ court dates (time, date, location, etc.). Until the court date, we will also require weekly check-ins in order to ensure that things are going smoothly. Q: What happens if I miss a check-in/court date? A: When clients miss check-ins or make late payments, we alert the client’s co-signer. We will promise to be as flexible as possible, within reason, by working with the client, determine why the court date was missed, and attempt to work with the judge to secure a new court date. In the worst-case scenario, we must hire an investigator to find and arrest clients who have disappeared before their court dates. No matter what comes up in your personal or professional life, you must make your court dates. If you’re unable to make your court date, contact us by calling (210) 463-5561. We are committed to doing everything we can to work with you. Q: What happens if my bond is revoked? A: If a client’s bond must be revoked, a warrant is immediately released for his or her arrest. Unless a client has already missed a court date, co-signers are not held responsible for revoked bonds. Keep in mind that revoked bonds will obtaining another bail bond from us in the future very difficult. Oftentimes in a revoked bond situation clients can expect higher fees and will need a qualified co-signer. If you have more questions, McRae Bail Bonds agents are available 24 hours a day, 7 days a week to help you further understand the bonding and jailing process. Call us at 1(210) 463-5561 to discuss the best bail bond option for your loved one, friend, or co-worker. Qualify By Phone. Never Leave Home. Having never had to use a bail bondsman before, I was extremely nervous about the process. Thankfully, Irma has made this entire process painless and easy to understand. It's nice to know that I can rely on Mcrae Bail Bonds to be at least one stress-free part of this entire process.I especially liked how Irma walked me through each part of the process, what my legal requirements were, and how best to proceed from here. She's always willing to go out on a limb for me if I need the help. If you should need to post bail/bond, I HIGHLY recommend giving them a call. They won't steer you wrong. great business and always keeps in mind your personal situations. Nice staff. John is a really good guy. Great service well recommended. McRae has an amazing personality! I highly recommend his services to anyone.With McRae positive vibe and kind personality they will certainly overcome whatever obstacles you are in! My girlfriend and I visited McRae bail bonds for the first time recently. Ms.Irma made everything as simple as possible for us. She made us very comfortable and informed us that the office is open 24 hours and that they are always open to our calls. John was present at our second visit and was very helpful as well. Overall great experience! They made our first time dealing with something like this far simpler than we’d imagined it would be.